Ready to sell your YouTube channel? 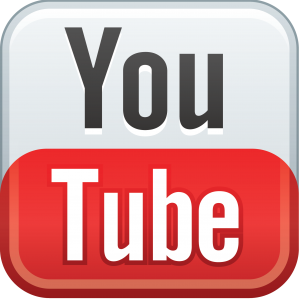 Are you thinking about selling your YouTube channel? Not too many people are selling YouTube accounts these days, mainly because they can generate a nice income stream. However, if you’re tired of creating content or simply got bored with YouTube, and you would like to sell your account, then give BuySellAccounts.com a shot! Now since you’ve decided to take that final leap rest assured that you’re in good hands. We’re the only company on the web that will find you a buyer, negotiate the best price, and pay you directly from our pocket. This process lasts less than 12 hours. Remember, you will never have to talk to any potential buyers, and receiving a payment directly from us ensures that your money will be safe and sound. Hold up there, make sure your YouTube channel qualifies! No copyright strikes in the last six months. Monetization has to be enabled and not restricted by YouTube in any way. The account has to be at least six months old. No activity? No problem, just don’t expect much for your YouTube channel if that’s the case. If you think your account qualifies, then please contact us by filling out the form on this page. Our staff may also ask for additional information before we can give you a proper offer. We will contact you in a couple of hours (weekend responses will be slower) to further verify your property. By submitting this form, you agree to our seller rules. Why do people purchase YouTube accounts? To put it simply, fame and fortune! It is no secret that a popular YouTube channel can bring in a substantial income if you keep generating enticing content. However, getting your videos noticed on YouTube is extremely difficult these days, mainly because there are millions of other users competing for each subscriber. Purchasing established YouTube accounts skips the hard part, so you can move directly onto creating content. How much are YouTube accounts worth? Due to their valuable nature popular YouTube accounts can be literally worth five to six digit offers. However, we’re talking millions of subscribers and high activity for that kind of money. Smaller / average accounts are worth much less. To find out exactly how much your account is worth you will have to contact our staff. Can I sell my account but delete my old private videos? If you have any personal videos on your channel, we can delete them to protect your privacy. All we care about are the subscribers, the current content on the channel will have little impact on our offer. But we ask you NOT to delete anything just yet, as we would like to review the past activity.